Independence of Panama from Spain was accomplished through a bloodless revolt between 10 November 1821 and 28 November 1821. Seizing the opportunity, when the Spanish governor left Panama to march on rebellious Ecuadorians, José de Fábrega led a push for independence. Rebels in the small town of Villa de Los Santos made the first declaration for independence and the movement quickly spread to the capital. 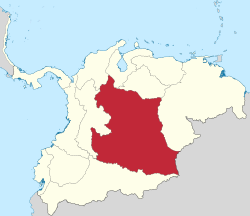 Fearing that Spain would retake the country, the rebels quickly joined the Republic of Gran Colombia. Initial attempts to free Panama from Spain came from South American liberators, not Panamanians, who saw Panama as a strategic link, both politically and militarily between South America and the Central American states. As early as 1787, Venezuelan Francisco de Miranda attempted to interest the British in a canal project in Panama to increase trade for Britain, in exchange for military support to bolster South American independence hopes. The attack by Napoleon, who deposed the Spanish monarch in 1807, led to the push for independence throughout South America by Simón Bolivar. Though Bolivar did not set foot in Panama, he advocated for independence, declaring in his 1815 “Letter from Jamaica” that the independence of Panama would lead to commerce opportunities. In 1819 the Scotsman Gregor MacGregor led a failed attempt to free Panama. When South American revolutionary zeal deposed Viceroyalty of New Granada Juan de la Cruz Mourgeón, he fled to Panama and was declared governor. Mourgeón was ordered to Ecuador to fight the separatists and appointed José de Fábrega as his successor. As soon as Mourgeón sailed, Fábrega seized the moment for Panama’s independence. On 10 November 1821, the first call for independence was made in the small provincial town of Villa de los Santos. Called the “Primer Grito de Independencia de la Villa de Los Santos, it ignited rebels throughout the Panamanian countryside. Using bribes to quell resistance from the Spanish troops and garner their desertion, the rebels gained control of Panama City without bloodshed. On November 20, 1821, Fábrega proclaimed Panamanian independence in Panama City. An open meeting was held with merchants, landowners, and elites, who fearing retaliation from Spain and interruption of trade decided to join the Republic of Gran Colombia and drafted the Independence Act of Panama. 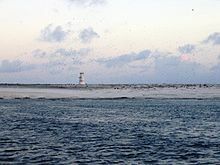 The island’s first known sighting by Europeans was on August 21, 1821 by the British ship Eliza Francis or Eliza Frances owned by Edward, Thomas and William Jarvis and commanded by Captain Brown. Jarvis Island was reclaimed by the United States government and colonized from March 26, 1935 onwards, under the American Equatorial Islands Colonization Project see also Howland Island and Baker Island. President Franklin D. Roosevelt assigned administration of the island to the U.S. Department of the Interior on May 13, 1936. Starting out as a cluster of large, open tents pitched next to the still-standing white wooden day beacon, the Millersville settlement on the island’s western shore was named after a bureaucrat with the United States Department of Air Commerce. The settlement grew into a group of shacks built mostly with wreckage from the Amaranth lumber from which was also used by the young Hawaiian colonists to build surfboards, but later, stone and wood dwellings were built and equipped with refrigeration, radio equipment, and a weather station. A crude aircraft landing area was cleared on the northeast side of the island, and a T-shaped marker which was intended to be seen from the air was made from gathered stones, but no airplane is known to have ever landed there. At the beginning of World War II, an Imperial Japanese Navy submarine surfaced off the west coast of the Island. Believing that it was a U.S. Navy submarine which had come to fetch them, the four young colonists rushed down the steep western beach in front of Millersville towards the shore. The submarine answered their waves with fire from its deck gun, but no one was hurt in the attack. On February 7, 1942, the USCGC Taney evacuated the colonists, then shelled and burned the dwellings. The roughly cleared landing area on the island’s northeast end was later shelled by the Japanese, leaving crater holes. The first major battle of the Greek War of Independence is fought against the Turks is fought in Valtetsi. The Greeks defeat the Turks in the Battle of Gravia Inn. 30,000 Turks are massacred in Tripolitsa during the Greek War of Independence.